Excidobates condor is the second species of Excidobates registered in Ecuador. 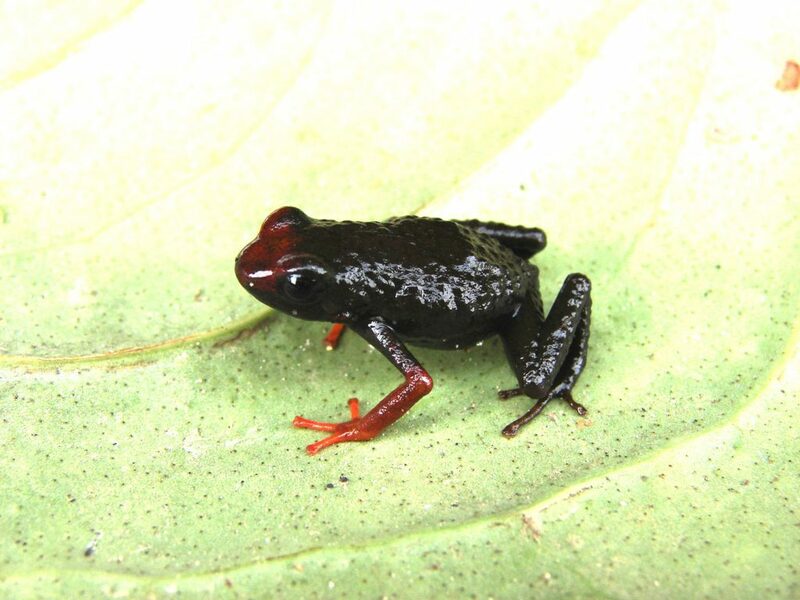 This dendrobatid species inhabits the eastern slopes of the Cordillera del Condor, from 1770–1900 meters elevation. 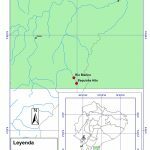 It is known from three localities: Loma Paquisha Alto, Rio Blanco (canton Paquisha), and Tigres Alto (canton Yantzaza). This zone corresponds to eastern montane forest following the classification of Ron et al. (2011). 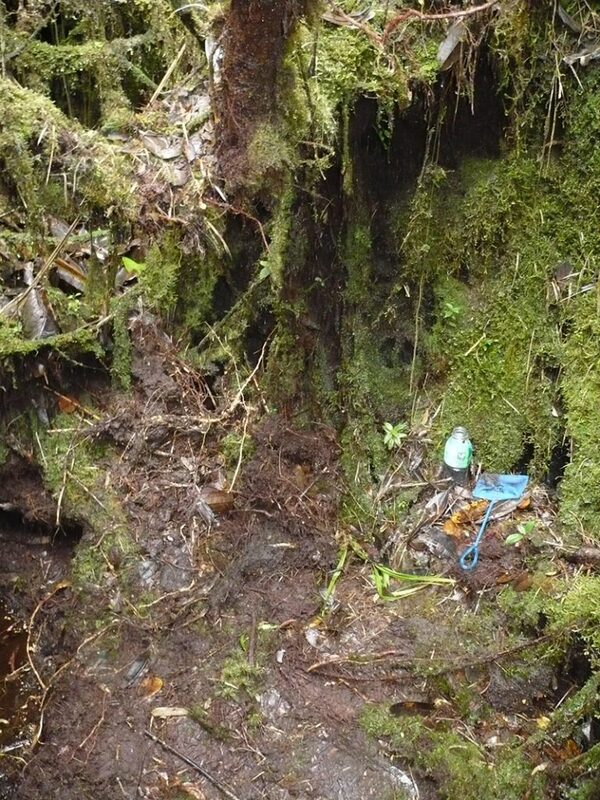 Following Foster & Beltran (1997), the locality Paquisha belongs to the vegetation formation designated “Greyish-green summit forest”. This forest is generally cloudy and is characterized by trees from 15–20 meters in height with many bryophytes and bromeliads of the genera Guzmania, Tillandsia, and Aechmea at heights between 0.5 and 2 meters. 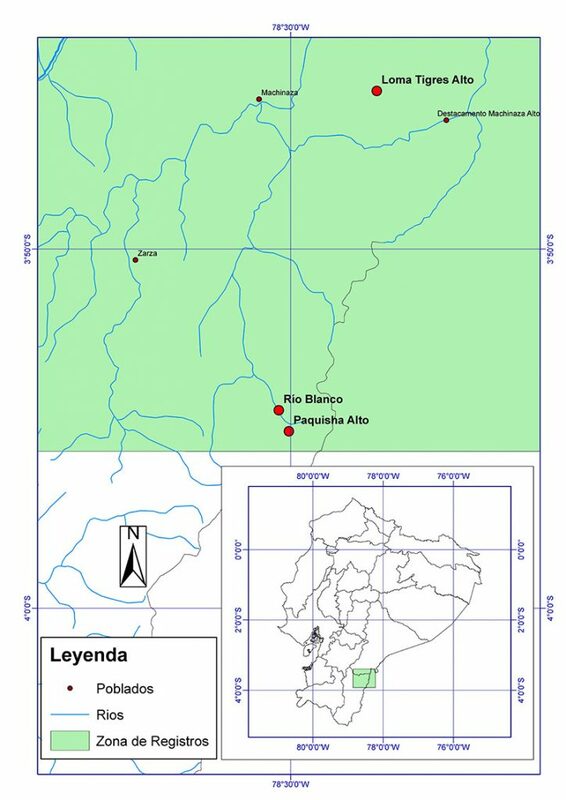 The locality La Loma Tigres Alto, which is a tepui-like plateau, is included within the “sclerophyllous scrub” classification, at elevations less than 2000 m, where trees do not exceed 5 meters in height and grow on a substrate consisting of crystalline sand, which is highly acidic and poor in nutrients. 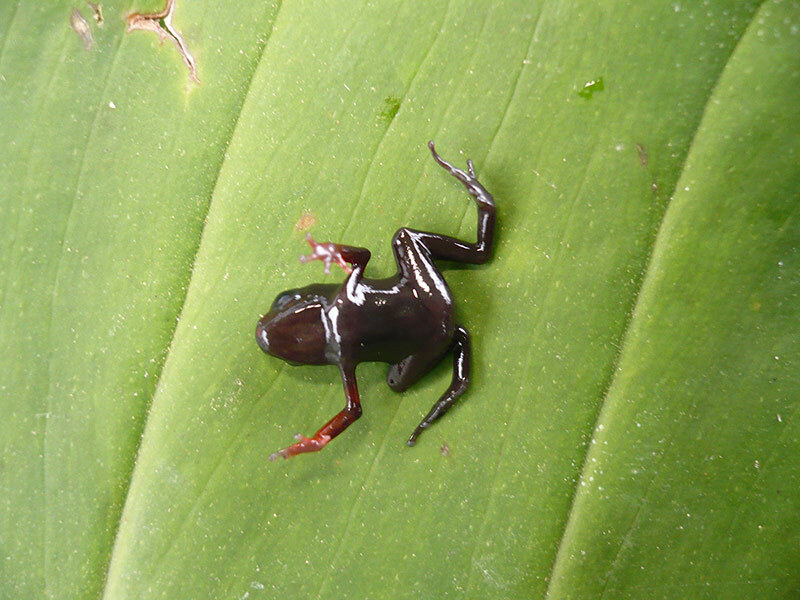 Adult Excidobates condor are scarce or very difficult to find, due to the fact that a large number of tadpoles (but not adults) were collected. 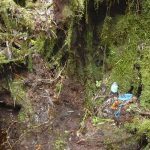 Possibly, the soil type, which is a tangle of roots, leaves, and moss (a soil type referred to as “bamba”), provides refuge for the adults. Adult E. condor are diurnal and active in the afternoon, at the base of trees and in bromeliads, among tree roots, and leaf litter and moss that covers the sandy soil. Tadpoles and metamorphs live in the bracts of large bromeliads of the genus Guzmania, which store sufficient water for their development. Many natural history details of this species remain unknown, for example size and placement of clutches, as well as the advertisement call. 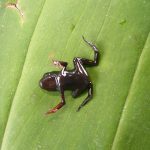 Excidobates condor is a small frog, male SVL on average 19.8 mm, females 21.6 mm; one juvenile recently metamorphosed was 7.7 mm. The dorsum of this species is black and strongly tuberculate, which extends to the extremities. In life, the anterior region of the head is scarlet red with diffuse black. The arms are orange, especially the hands; this coloration becomes darker along the forearm and the upper part of the elbow. The venter is predominantly black. Females are slightly larger than males and lack the reddish coloration on the front of the head. This species has not been evaluated. However, it is only known from three localities, which form a polygon 7 km2. Further sampling is needed to determine if this species occurs more widely.